Christopher Jones Comic Art and Illustration Blog » Heading to New York Comic Con! Heading to New York Comic Con! Click the image to go to my Facebook page and “like” it! Attending New York Comic Con on October 11-14? Come say hi to me in Artists Alley (table D2). If you show me that you “like” my Facebook page, Christopher Jones Comic Art, I’ll give you a *FREE* signed Young Justice mini-print or Christopher Jones Comic Art button! I’ll be signing at DC Comics (Booth #1238) Saturday 10-11am and Sunday 1:30-2:30pm. Sunday from 2:30-3:30pm I’ll be on the Drawing DC: Kids Edition panel in Room 1A06. Are you a cosplayer? 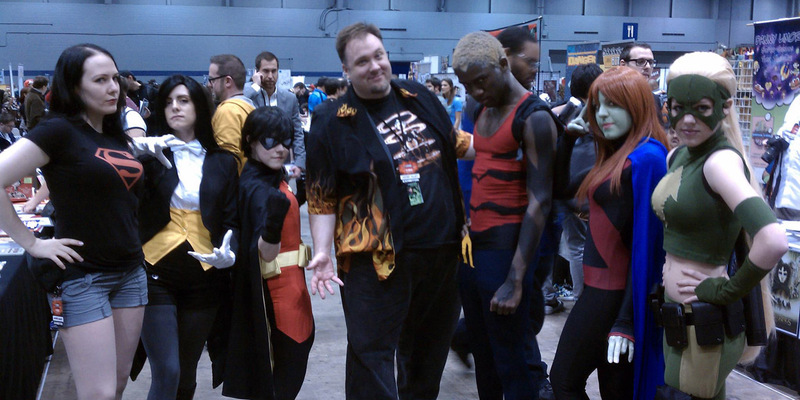 I’d love to take your photo to share on my blog, and I’d especially love to have a photo taken *with* any cosplayers wearing costumes from Young Justice, Avengers: Earth’s Mightiest Heroes, or any of my other projects! Stop by and I might just have a freebie for you, too!